Leopard print – How I do it. I love leopard print. It’s a new love though but love it I do. My favourite kind of leopard print is on my nails. When I first saw leopard print nails I really though it was too hard to even consider. I was wrong! I tried it a while ago for the first time here and since then I have had a few people ask me how I did it. I promised Heather that I would share so here it is. Of course, this is how I do it. I am pretty sure there are tons of other ways and you could probably find a few different Youtube videos as well. I started with 2 coats of Tip Top – Armour plate. The perfect silver. 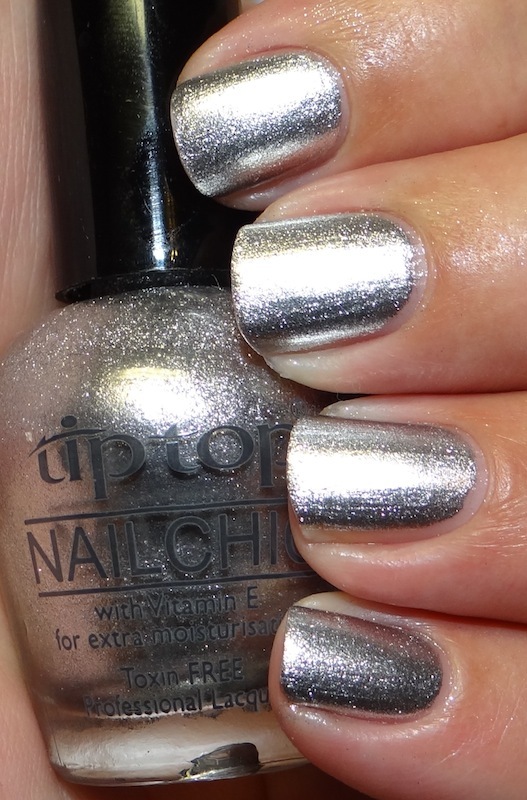 I then used Tip Top – Cha Cha Cha and Tip Top – Surfer Girl. With the polish brush, I make random spots on my nail. Different sizes and shapes. 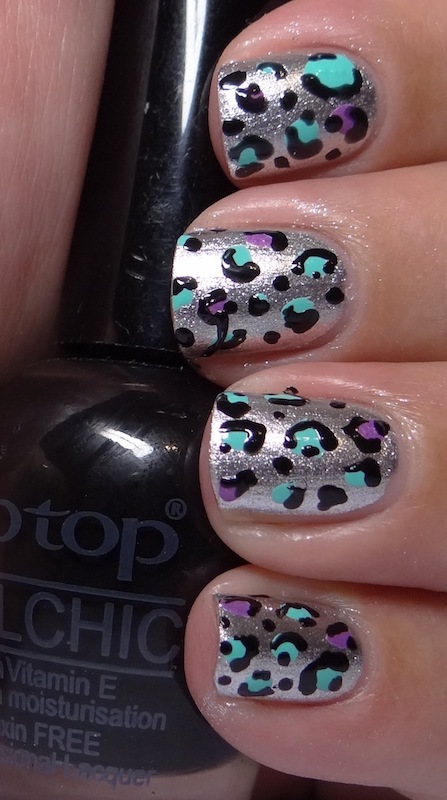 I decided to make two spots on each nail with Surfer Girl and the rest in Cha Cha Cha. The key here is that it shouldn’t be perfect. Completely random is best. It’s also up to you how many spots you want or how big or small you want them. So far, no special tools needed. The next step is to make the black marks around the spots. Here is where you will need some ‘tool’. I would’ve used a toothpick to show that it could be used but at the time I couldn’t find one for love or money. 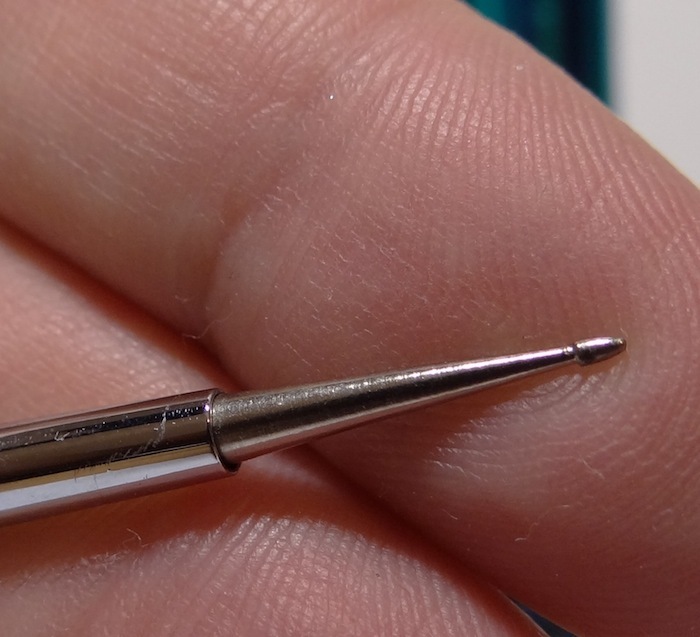 I do have this tiny dotting tool that came with my nail brushes. It is practically the same as a toothpick. I used this. You could also use a dotting tool, a striper brush, a toothpick, a pin or anything you feel comfortable using. I put a blob of black polish (I used Tip Top – Black Forest) on a plastic card. Using the tool, I made random ‘C’ shapes around each spot. Some more rounded than others. On most of them I added a smaller black dot / line on the opposite side of the ‘C’. This way, the ‘circle’ isn’t fully closed around the spot. On some I left it with just the ‘C’ shape. Again, the trick is to not be perfect. 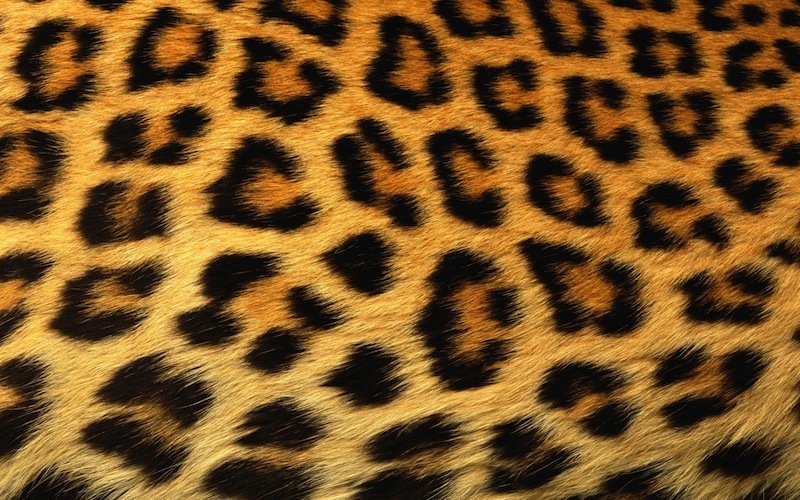 The true beauty is that leopard print is never perfect or even the same. These black lines can be made with either a combination of tiny dots or like a line. It depends how comfortable you are with tool you are using. Once you have done all the spots you can add a few random black spots between your colour spots. These are usually smaller but not perfectly round (they can be but don’t have to be). Doesn’t that help to see that it doesn’t have to perfect or the exact same? It really helped me when I had a a reference to look at. On Saturday we decided last minute to go to ‘Toti and I had just taken the polish off the night before. I had to do something quick and leopard print really was my first choice (besides just painting them a solid colour that is) It’s actually pretty quick to do and because it doesn’t have to perfectly spaced or measured it is even faster. These are the ones I did on the go. I hope all of this made sense. I found these really easy to do but I am sure there are other ways of doing it too. In fact, I even have a leopard print stamp. I will test it out and show you but in the mean time go have a look at Siobhan’s leopard print stamp (we have the same stamp). Isn’t it pretty!! Let me know what you think or if you have any questions. I will be happy to answer anything in case this post isn’t very clear. Remember folks, I am a blogger, not a writer 😉 Don’t forget about the giveaways!! Entries close on Thursday! love it! Great tutorial 🙂 It looks really pretty too. Love this! So pretty and the tips are so easy to follow! Thank you SO much!!! I can’t wait to see yours! !